How Can I Get Them to Trust Me? It’s an important question for lots of people: financial planners, TV news anchors, IT help desk people in companies, HR folks who want a seat at the table, pharma company management, and parents and teenagers. There are three broad approaches to getting others to trust you. They are not mutually exclusive, and are probably not exhaustive—but they come close. Of course, you can’t control another human being. Trying to do so will paradoxically destroy their trust in you. Which is why all three approaches involve full acceptance of the one whose trust you seek. Trust Creation Strategy 1: Trust Them. We are powerfully wired as part of our social instincts to engage in reciprocal exchanges with each other. These acts of reciprocity create networks of cumulative obligation—or of enmity. If someone behaves well toward me, I “owe” that person parallel behavior. This simple fact underlies the social role of etiquette, as well as things like gifts, Don Corleone’s power, or ritualistic forms of greeting like secret handshakes. We are powerfully motivated to return in kind what we are given. If you want to be trusted—first seek to trust. Trust Creation Strategy 2: Be Trustworthy. It sounds trite, but it’s not. It is a strategy of attraction, not promotion. To be trusted, try to be worthy of that trust. All else equal, people trust those who are worthy of trust. And people have finely honed capabilities of discrimination that far exceed our abilities to articulate them. Much though we may like verbs–they suggest definitive actions we can take–they are misleading. You don’t make people trust you, they choose to do so. You attract trust by being who you are, not by acting upon others. I prefer the Trust Equation: it is couched in the ways people see us—as attributes. Four of them pretty much sum it up: credibility, reliability, intimacy—and whether we are seen as self-oriented, or other-oriented. This definition of trustworthiness underpins the Trust QuotientTM self assessment test—take it here and find out how trustworthy you are. Trust Creation Strategy 3: Listen. The single most powerful trust-creating action we can take is to give to another the fine gift of our own attention. To listen—intently, to the exclusion of all other thoughts, without simultaneous cogitation, and devoid of judgment. This has nothing to do with the content of what is being heard. It is simply about the act of offering attention. It translates, to the one being listened to, as an act of respect. As such, it triggers the reciprocity reaction: we are willing to listen to those who have listened to us. All three strategies, to work, must be done cleanly. While we can all become more trustworthy, or better listeners, or better trustors ourselves, we have to keep our motives intact. If we want others to trust us solely as means to our own ends—they won’t. The concepts of giving freely, and without attachment, are key. The paradox is: if you do these things, you become trusted. But if you set out to do them in order to be trusted, so that you can etc. etc. etc.—you don’t. 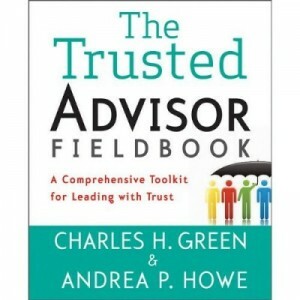 http://trustedadvisor.com/public/trusted_advisor1.png 0 0 Charles H. Green http://trustedadvisor.com/public/trusted_advisor1.png Charles H. Green2009-05-15 11:39:112009-05-15 11:39:11How Can I Get Them to Trust Me? 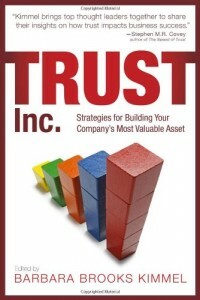 Trust, trusting and trustworthiness are related, but distinct. Confusing them hurts all three.